If someone asked you to name some of the most important safety features of your car, what would you say? You’d probably say seatbelts and airbags or maybe antilock brakes? Automatic brakes even? But… what about windshield wipers? Windshield wipers (as well as the wiper motor) are one of the most important safety features on your car. You might not realize it until you need them, but try driving in a downpour or a wet winter’s day without them. They’re essential to making sure you can see and operate your vehicle properly and safely. That’s why it’s really important to keep your wipers in working order. If they are damaged in any way, then the windshield wiper blade or blades may need replacing or they could become hazardous and potentially could damage the auto glass. On average, wiper blade replacement may be required every six months. It’s best to do it at the beginning of summer and winter. Because of the potential for extreme temperatures, those seasons are hardest on your wipers and the time when old wipers can easily be damaged and become ineffective. When replacing your wipers, you might notice that there are two kinds of blades: conventional and beam. In the last 20 years or so, car manufacturers have steadily been making the shift from conventional to beam. If you’re wondering which to use, a general rule of thumb is to replace your wipers with the kind your car originally came with. Conventional wipers have what looks like a thin metal frame that holds the actual blade in place. Beam wipers appear to be one solid piece and have a lot of their structure protected by a cover. Beam wipers do have a slight edge over conventional wipers. They have less moveable parts and so are less likely to break. The frame is concealed from harsh weather, which can help them last longer. They’re also more aerodynamic and have a lower profile so they’re less likely to obstruct the driver’s vision. Because the have more pressure points than conventional wipers, they make more even contact with the windshield down the entire length of the blade and can be more effective. The only specific thing you need to know when buying replacement wipers is what size you need. To find this out, you can either look in your owner’s manual or measure them yourself. Be aware that the driver’s side is often (but not always) a different size than the passenger’s side. If you’re ordering online, there will usually be a way to check the product with your make and model. Or, if you’re buying in store, you’ll find it on the packaging of the blades. Some blades come in a set of two and some are sold individually. This is so you have the option to buy two different sizes if you need to. The next thing you need to consider when replacing your windshield wiper blades is the type of connector your car has. 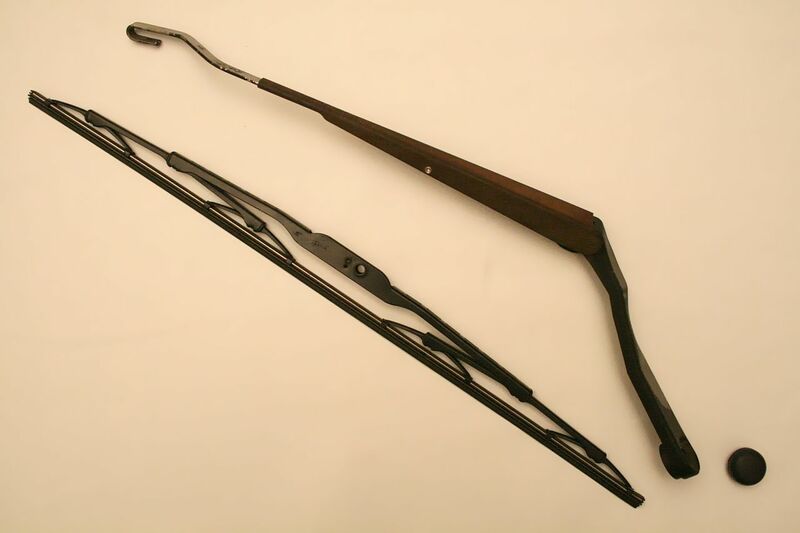 There are a few different kinds for both conventional and beam wipers. The easiest thing to do is look at your old wipers before you remove them and make sure you get replacements with the same kind of connector. Some blades even come with adapters so that they can fit on multiple models. Another thing that’s worth noting is that beam blades can usually fit on a car that uses conventional blades, but conventional blades cannot always fit on a car using beam blades. If you buy conventional blades, make sure that you’re replacing conventional blades. You might want to lay a towel over your windshield in case something falls or is dropped during the process. Lift the wiper arm away from the windshield. It should stay up on its own if positioned perpendicular to the windshield. Remove the old wiper blade. To do this, inspect where the arm meets the blade to determine what kind of connector it is and undo it. Remove the new wiper from the package and slide it into the correct arm. Secure the connector. If the blades are different sizes, make sure you put each blade on the right side to make sure your entire windshield is covered. Repeat the whole process from Steps 1 – 4 on the other wiper. You can only really test new wipers if it rains or if you simulate rain. If you don’t want to wait, spray your windshield with a hose or drive through a car wash. Then, use the wipers to make sure they are covering properly. It really can be dangerous to drive with windshield wipers that need to be replaced. It’s especially risky during rainy months when downpours can happen quickly and suddenly or when it snows and road salt is constantly being splashed onto your car. Changing your own windshield wipers is an easy job that can make your car safer.